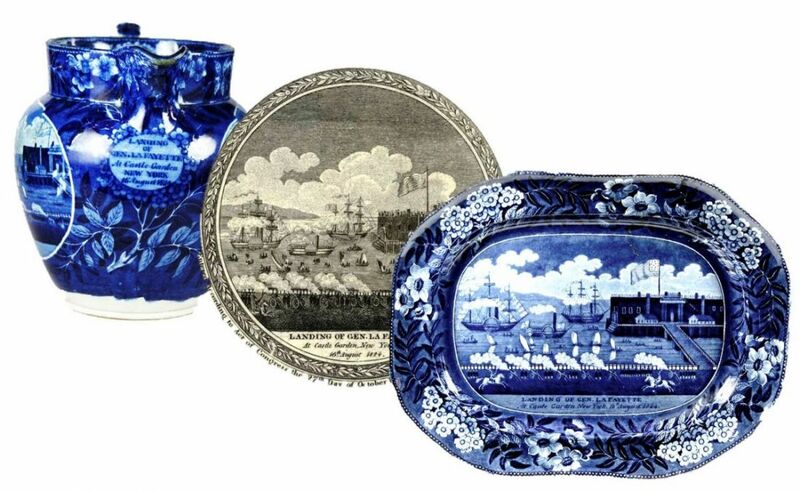 The fashion for dark blue printed pottery was relatively short-lived. It was in production by about 1820 and in decline by 1830. It may not have been commercially successful at the time, as it was produced by only a handful of the many pottery manufacturers, but it has certainly captured the hearts of modern day collectors. This exhibition focuses on the printed designs with American themes, and celebrates the images of the young United States.